The nominations for the 61st Annual Grammy Awards have been announced, with Greta Van Fleet, Ghost and Bring Me The Horizon leading the charge. The ceremony will be broadcast live on CBS from the Staples Centre in Los Angeles on February 10 at 5pm ET – and rock and metal are once again well represented in the 2019 shortlist. Greta Van Fleet have picked up a whopping four nominations: in the Best New Artist category, Best Rock Performance, Best Rock Song and Best Rock Album – although it’s for their From The Fires EP rather than their debut album Anthem Of The Peaceful Army. Ghost have been nominated in Best Rock Song for Rats and are also shortlisted in Best Rock Album for Prequelle. Other artists nominated include Halestorm for Uncomfortable, Bring Me The Horizon for Mantra, Chris Cornell for When Bad Does Good, Between The Buried And Me for Condemned To The Gallows, Trivium for Betrayer and Alice In Chains for their new album Rainier Fog. Guns N’ Roses’ lavish Appetite For Destruction box set has also been shortlisted for the Best Boxed Or Special Limited Edition Package, while Buddy Guy has been named in the Best Traditional Blues Album for The Blues Is Alive And Well. Find a list of nominees relating to rock, metal, prog and blues below. 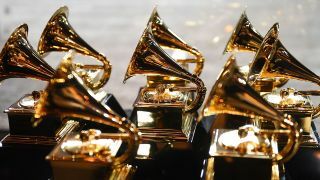 A list of all other nominations can be found on the official Grammy website.